Sacred Sites, Sacred Places explores the concept of 'sacred' and what it means and implies to people in differing cultures. It looks at why people regard some parts of the land as special and why this ascription remains constant in some cultures and changes in others. Archaeologists, legislators and those involved in heritage management sometimes encounter conflict with local populations over sacred sites. With the aid of over 70 illustrations the book examines the extreme importance of such sacred places in all cultures and the necessity of accommodating those intimate beliefs which are such a vital part of ongoing cultural identity. Sacred Sites, Sacred Places therefore will be of help to those who wish to be non-destructive in their conservation and excavation practices. 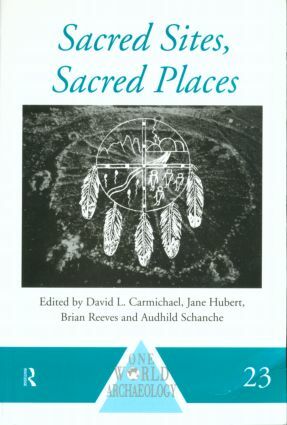 This book is unique in attempting to describe the belief systems surrounding the existence of sacred sites, and at the same time bringing such beliefs and practices into relationship with the practical problems of everyday heritage management. The geographical coverage of the book is exceptionally wide and its variety of contributors, including indigenous peoples, archaeologists and heritage professionals, is unrivalled in any other publication.